This site was brought forth due to a lack of remaining TrueCombat sites of versions past. I decided to update the site to include every popular version and to provide information, media and downloads so that they are easily accessible all in one site! - comprehensive and complete overviews, manuals/guides, downloads and media for every major TrueCombat release! 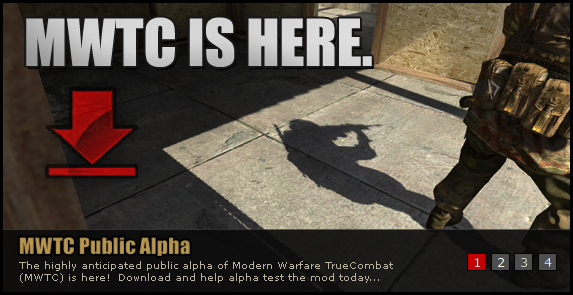 - public player stats on the official site so you can post your funwar/match stats on the main TC site! - the Map Depot is back for TCE's creative 3rd party mappers! - the Photo Gallery is back! But it's been overhauled to include media of former versions! There are 1000+ pictures on there! Check it out and submit your own for all to see!